Hydraplenish Hyaluronic Acid Review – Is This Product Safe To Use? 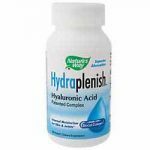 Hydraplenish Hyaluronic Acid is a dietary supplement that is touted to work from within to bring powerful healing benefits to the body. The product is sold as a joint care product but you should not be surprised if you find being sold as a beauty product or an anti-aging product. Promoting healthy skin, nails and hair. What is Hydraplenish Hyaluronic Acid and Company Behind Hydraplenish Hyaluronic Acid? Hydraplenish Hyaluronic Acid is a dietary supplement that is sold for various purposes. For the sake of this review, we will consider Hydraplenish Hyaluronic Acid as a dietary supplement that is used in joint care. According to the producer, this product has a unique proprietary blend of ingredients that have the ability to promote generation of synovial fluid thereby lubricating the tissue. While the official website doesn’t provide clinical trial data, the producers claim that the effectiveness of this product is backed by clinical trials that have shown it to be effective. This product is manufactured by Nature’s Way, a company that is based in the United States but with offices in both the USA and Canada. This company is known to produce several vitamins and supplement for both adults and kids. The registered physical address is 3051 West Maple Loop Dr. Suite 125 Lehi, UT 84043. Hyaluronic Acid – HA is the basis of the synovial fluid (this is the liquid that is primarily tasked with joint lubrication. Collagen – Collagen is perhaps the most important element of our joint support. It is the main ingredient in cartilage, tendons and ligaments. It promotes both strength and improves range of motion. How Hydraplenish Hyaluronic Acid Works? Hydraplenish Hyaluronic Acid is primary made using Hyaluronic Acid. Hyaluronic acid or HA is basically a substance called Hyaluron that appears to be a clear fluid that is thick. It is naturally found in our bodies but as we age, the amount of the fluid decreases and at a certain time, the body is unable to produce enough of it to certain healthy joints. The HA used in Hydraplenish Hyaluronic Acid, according to the producers, has smaller molecular weight than the natural HA you produce or any other HA you will find in other products. This means that it is more bioavailable and that it will enter the cell more efficiently and relatively faster than the rest. Once in the body, HA is mainly responsible for the health of connective tissue found in the skin and the joints. As the levels of this liquid lower, your skin will start forming wrinkles and your joints will dry up. It is purchased online. Which is very trending now-a-days. The recommended dosage is two tablets daily. However, if you are just starting, then you can take four tablets daily. Take with loads of water or with meals. Is Hydraplenish Hyaluronic Acid a Scam? Hydraplenish Hyaluronic Acid is not a scam. When it used for the recommended purpose, this product has been proven to give positive results. All the same, users are advised to be patient as it might take some time to show results. Hydraplenish Hyaluronic Acid is perhaps the most endowed HA based supplement. It is fortified with vitamins and minerals and this makes it appealing to most people. Nonetheless, this product is not safe to women who are pregnant and not suitable for vegans.